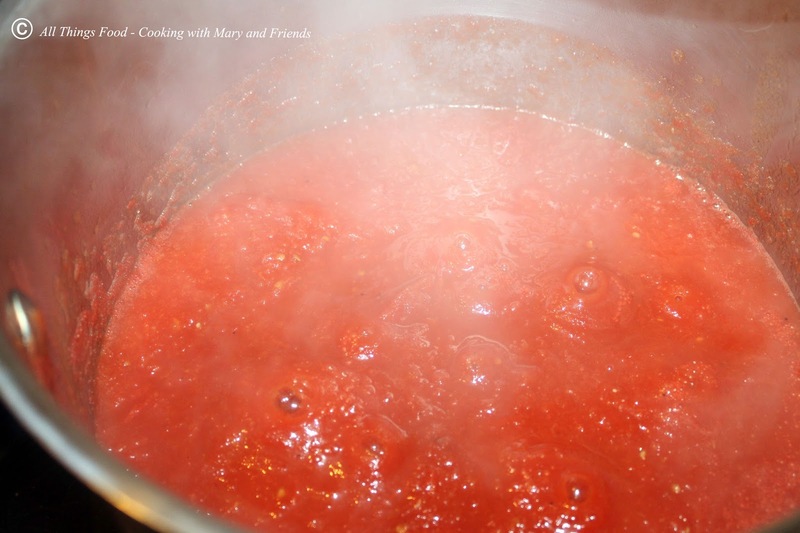 Cooking With Mary and Friends: Tomato Sauce Canning Made Easy! 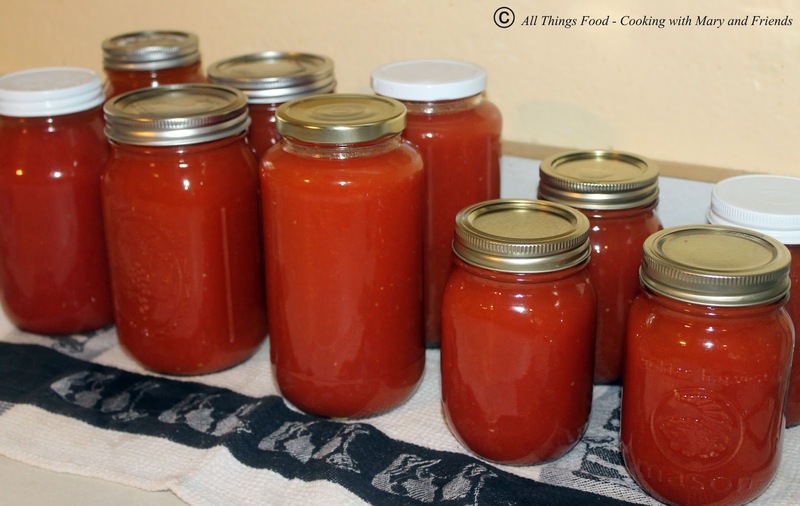 Tomato Sauce Canning Made Easy! I have been canning a variety of tomato products for many years. 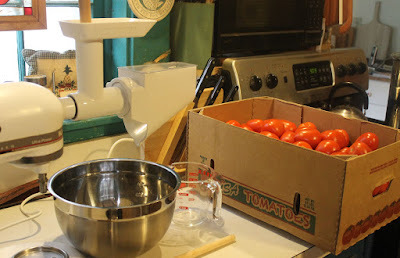 When I first made tomato sauce I cooked them down some in a stock pot and used a food mill to process the tomatoes to remove the skin and seeds. 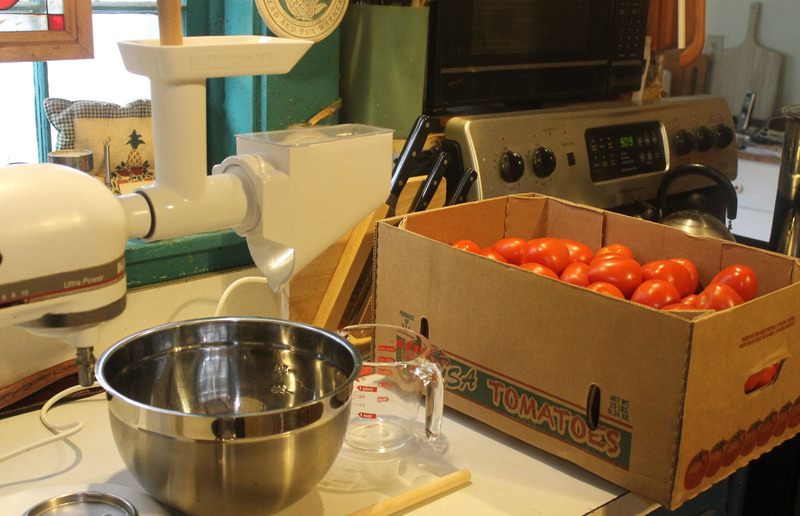 Later I graduated to the fruit and vegetable strainer attachment for my Kitchen Aid to process the tomatoes, and it does a great job straining out the skin and seeds, but the resulting "sauce" is thin and needs to cook down several hours to thicken for use as tomato sauce, pizza sauce, enchilada sauce, a base for salsa, and more. 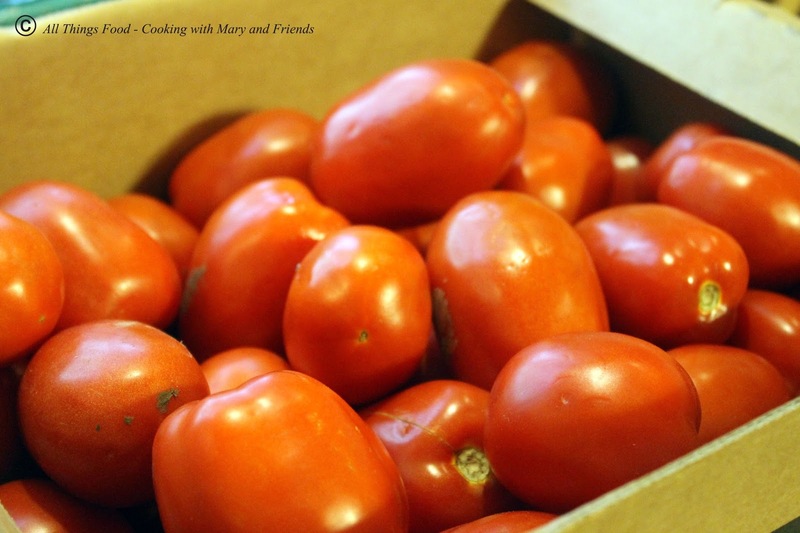 Recently, in a conversation with my daughter, she told me a friend had mentioned their grandmother used to just roast the tomatoes, then mash or blend them for sauce. At first I was a bit skeptical ... it didn't seem like that would work very well, but I tried this "new to me" technique, and it puts all of the above methods on the back burner! Yep, seriously, what I found out is it's so simple it's crazy, and the resulting products are crazy good! Really good! Are you ready? Roast the tomatoes, then cool slightly to slip off skins, and toss the tomatoes in a blender and process until smooth. That's it ... it's that easy. No more cooking down and processing in a food mill or fruit and vegetable strainer for me! A real benefit to me is you SAVE TIME, oodles of time, which is a precious thing when you have a lot of product to process, or other things to do. 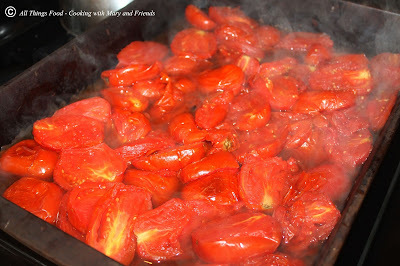 When you roast the tomatoes the natural sugars in the tomatoes become more concentrated/caramelized which offsets that potential sourness of the seeds and skins. It's AWESOME!!! Note - Save the skins and turn them into tomato powder. Now I am sure there are many, many great preservers out there who will read this and say "where has she been all these years" and I'll say "I know, right?" Of course the "old ways" are many times the best way, and so long as you follow today's SAFE canning methods you should have a winner-winner on your hands for your family to enjoy! Preheat oven to 425. 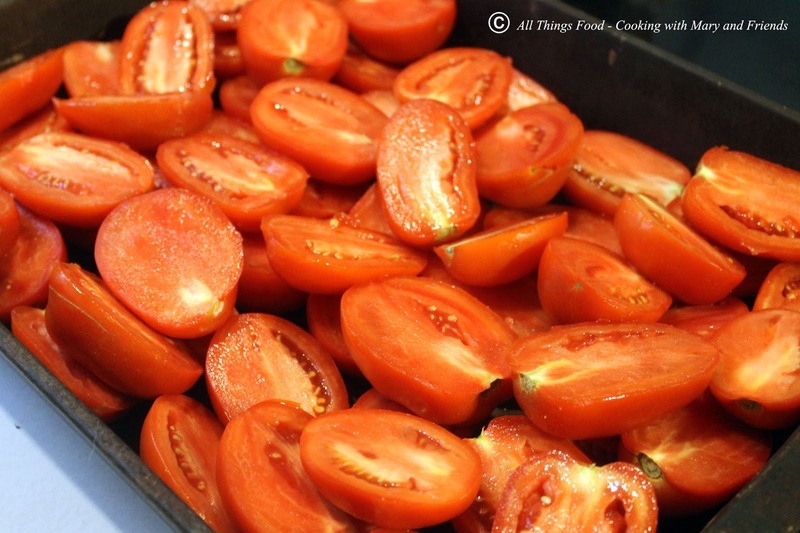 Wash tomatoes well in a vinegar bath. Cut in half and place in a large, deep roasting pan, over-lapping as necessary. Roast in oven 30-45 minutes, or until tomatoes and soft and skins blistering, stirring occasionally to prevent them from burning. Remove from oven, let cool slightly so you can slip off skins, and ladle into a blender, a little bit at a time, and blend until smooth. Repeat until all tomatoes are blended. **Reserve the liquid from the tomatoes that will be in the roasting pan after roasting to use later to "thin down" your sauces if desired. Pour sauce into a large stock pot and cook sauce over med-high heat until sauce thickens more, stirring to prevent sticking. This should only take about 30-60 minutes, depending on how thick you want your sauce. 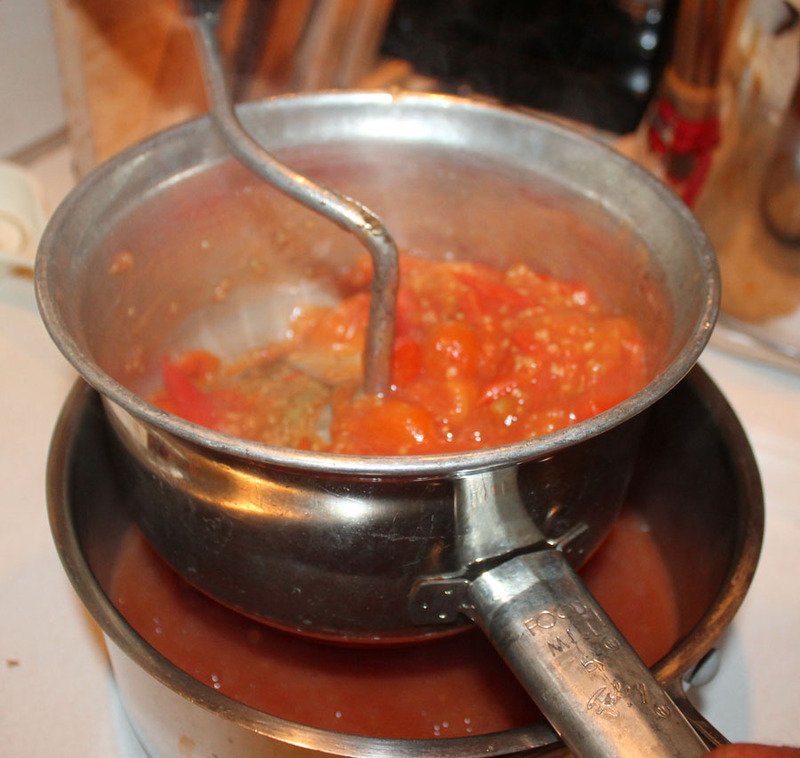 Remove from heat and process sauce one more time in blender to make smooth. 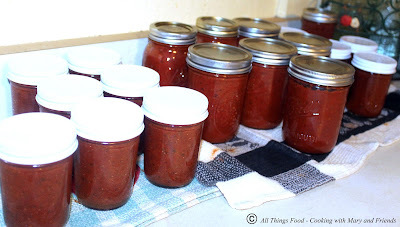 Pour hot tomato sauce into canning jars. **Add 1 tbls. bottled lemon juice or 1/4 tsp citric acid to each pint jar, 2 tbls. bottled lemon juice or 1/2 tsp citric acid per quart jar, leaving 1/2-inch head-space. Process half-pints and pints 35 minutes, quarts 40 minutes, in a boiling water bath. Cook on stove top and adjust seasonings to taste as cooking. 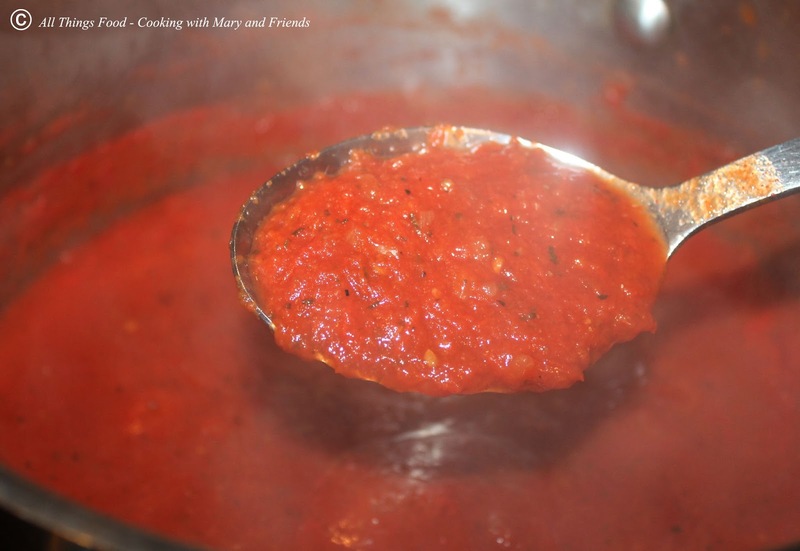 Finish Pasta Sauce by following directions above. Cook on stove top and adjust seasonings to taste as cooking. Finish Pizza Sauce by following directions above. 2 teaspoons citric acid OR 1/2 cup / 4 oz bottled lemon juice. Roast chili's and onion until tender. 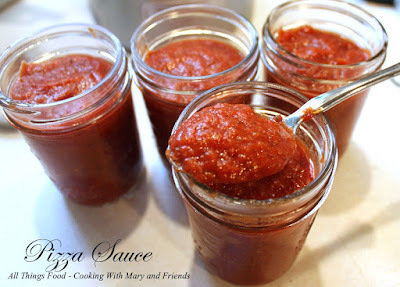 Place in the blender with a little tomato sauce (about 1 cup) and blend until smooth. Add this mixture to the remaining tomato sauce and cook on stove top, adjusting seasonings to taste as cooking. Finish Enchilada Sauce by following directions above. Can you double the recipe for the sauces (pasta &pizza) or even triple them?